Grass is not a good choice for shade, popular paths and steep slopes. A minimum of 4 hours of direct sun is needed even for shade tolerant grasses such as fescues. For any grass to thrive concentrated foot or equipment traffic needs to be spread out. This includes varying mowing paths to distribute mower tire traffic. Managing mowing equipment over steep areas is a hassle and potentially dangerous, alternative cover minimizes risk. 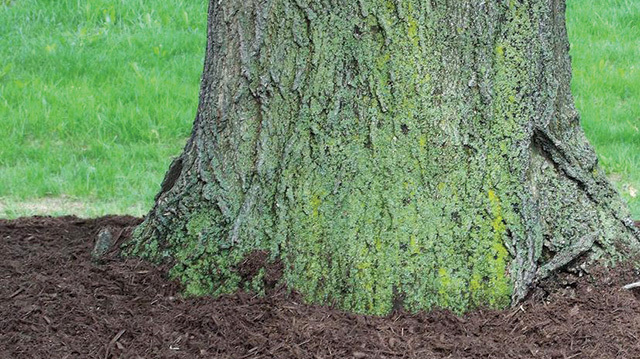 Organic mulches (formerly living material) such as chopped leaves, straw, wood chips and shredded bark. 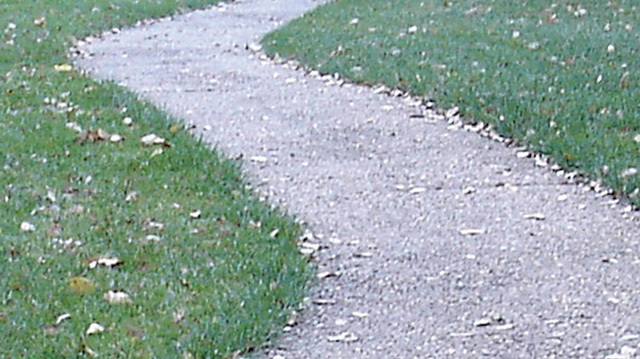 Inorganic mulches such as gravel and stones. 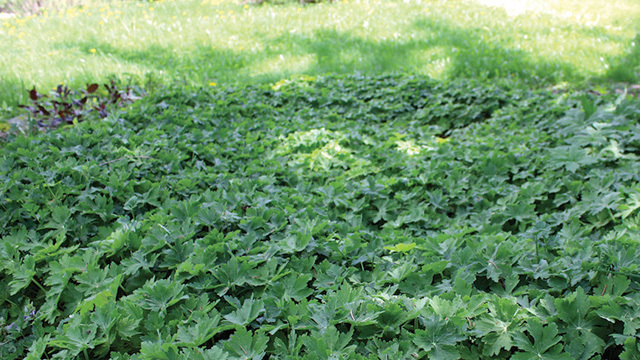 woodruff, and bigroot geranium (Geranium macrorrhizum, pictured). 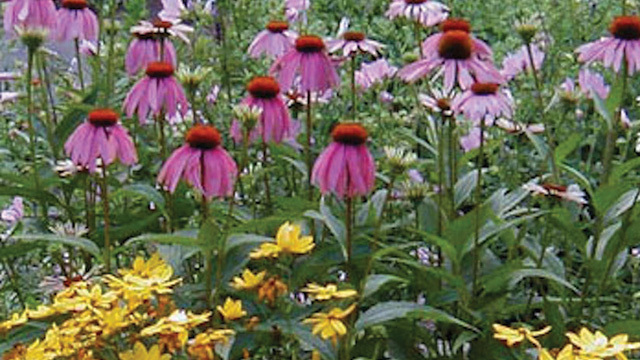 Sun-loving groundcovers such as wildflowers, junipers, ivies and sedums.